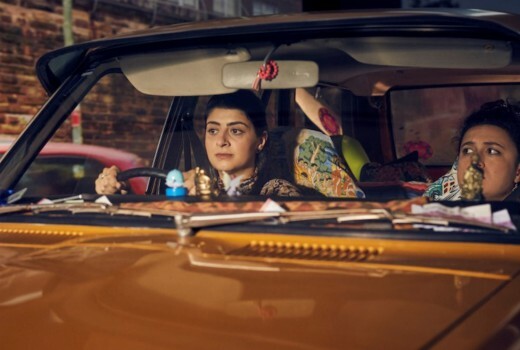 Cast have been announced for ABC’s upcoming comedy Squinters in which eavesdrops on carloads of travellers in peak hour transit. Created by Trent O’Donnell and Adam Zwar, the six-part series will feature Jacki Weaver, Tim Minchin, Miranda Tapsell, Mandy McElhinney, Damon Herriman, Sam Simmons, Andrea Demetriades, Wayne Blair, Christiaan Van Vuuren, Justin Rosniak, Jenna Owen, Susie Youssef, Rose Matafeo, Steen Raskopoulos, John ‘MyChonny’ Luc and Nyasha Hatendi. Head director is Trent O’Donnell joined by Kate McCartney (Get Krack!n, The Katering Show), Amanda Brotchie (Girl Boss, Picnic at Hanging Rock), Van Vuuren Bros. (Bondi Hipsters, Soul Mates) plus Cate Stewart (The Record). Writers also include Lally Katz, Sarah Scheller (The Letdown), Adele Vuko (Skitbox), Leon Ford and Ben Crisp. Squinters will shoot in October in Sydney and Los Angeles, and air on ABC in 2018. Our commuters include: a dispatch driver hoping to win the woman of his dreams by carpooling her to work; a single mum keen to avoid her teen daughter making the same mistakes in love, while juggling a new romance of her own; a clueless ex-school bully hitching a ride with the guy he tormented; best girlfriends whose friendship is tested when one becomes the other’s unlikely boss; and a newly ‘out’, middle-aged man grappling with both possible redundancy and a recalcitrant dog. Production Credits: A Jungle Production for the ABC. Principal production investment from Screen Australia, in association with Create NSW. Created by Trent O’Donnell and Adam Zwar. Producer Chloe Rickard. Executive Producer Jason Burrows. ABC Executive Producers Andrew Gregory and Rick Kalowski. Sounds good – great cast.